Rice and chicken from Mountain House is a simple meal which most people will enjoy. 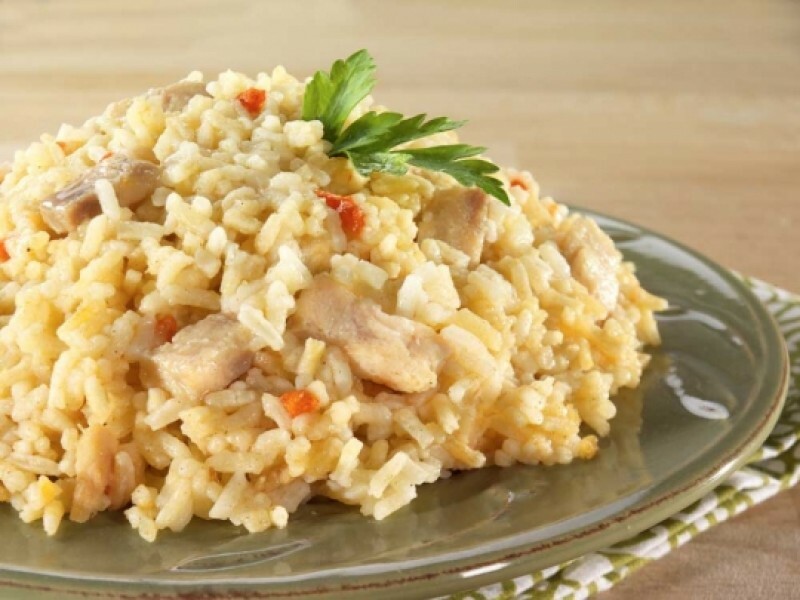 It is made with hearty rice, tender chicken and a savory sauce, accented with pimentos. Each order comes with one #10 size can, filled with the meal. It will last for 30 years on the shelf without going bad, which makes this the perfect addition to any long term food storage program. The food is also made with high quality ingredients, so you can be confident that it will taste great whenever you’re ready to eat it. Stock up on this great entrée today. 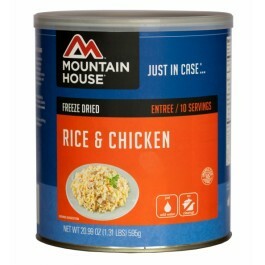 This rice and chicken meal from Mountain House is a great way to start or build your emergency food stockpile. 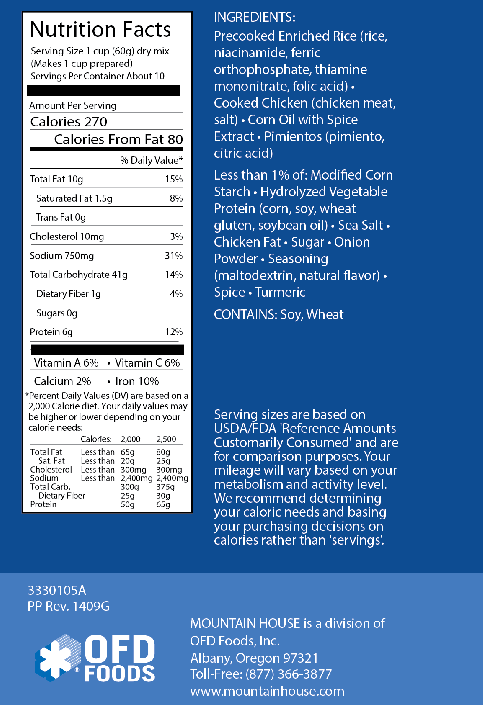 Each can is conveniently sized to provide you with the right amount of food for your family. The cans also stack easily in a pantry, closet, basement or other area so you can have the food available when you need it. Each can contains ten one cup servings, which is plenty for the entire family. Preparing the rice and chicken is extremely simple. Just open the can, remove as much of it as you are going to eat, and add hot water. The hot water will reconstitute the meal as well as warm it up so that it is ready to eat. It typically takes about 10 minutes to get ready, and then you can serve it to your family. If you don’t eat the full can, you can replace the lid and it will stay good for several weeks without a problem, even after being opened. 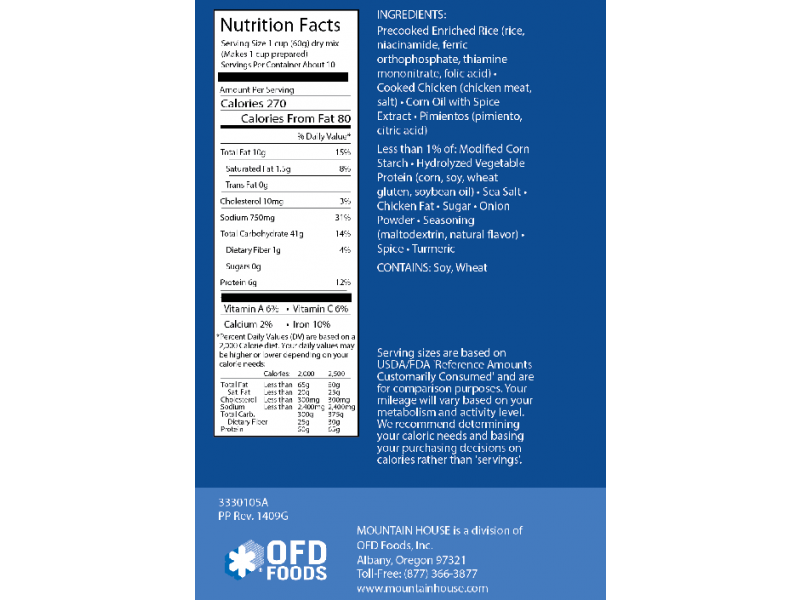 All the ingredients in this product were specially chosen to provide you with the great taste you want, and the nutrients you need. It contains sufficient protein, calories and a variety of vitamins and minerals to keep you feeling full, strong and healthy. 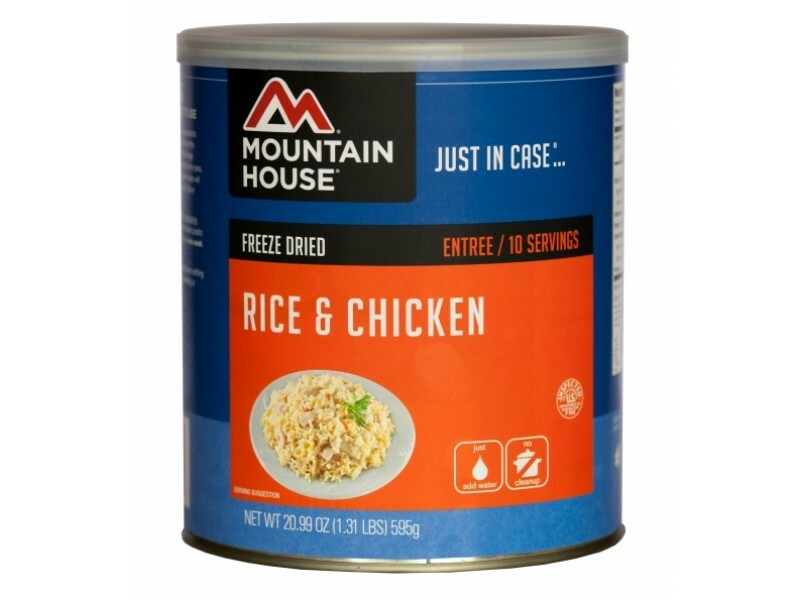 Stock up on this great item from Mountain House so you don’t have to worry about what you’ll eat in an emergency.